A founding member of LU-CIX, SES Techcom Services provides hosting for customer data centre components at SES' headquarters in Betzdorf, Luxembourg, one of Europe's leading teleports and satellite operations centres. In addition to delivered satellite services SES Techcom Services' customers are able to take advantage of available hosting space for their racked equipment, redundant power supplies and a connection to high-speed terrestrial fibre. Services are managed in accordance with a contractual Service Level Agreement and Key Performance Indicators. The facility provides secure and autonomous power generation with Uninterruptable Power Supply (UPS) and Heating, Ventilation and Air Conditioning (HVAC) systems. First and second level operations and maintenance support is available around the clock. 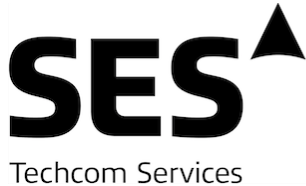 DO YOU WANT TO KNOW MORE ABOUT ses techcom services?